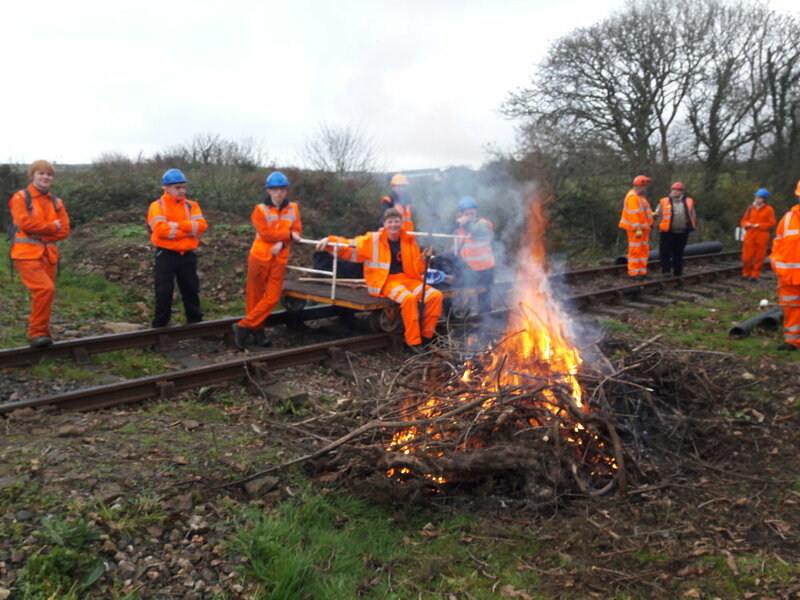 Another successful Juniors Day, where we had a bonfire to burn all the lineside clearance debris. Before we finished there was some marshmallow toasting on the remains of the fire, which was a big hit! We also walked up to Truthall to show what has been happening and to get a team photo of today's participants! 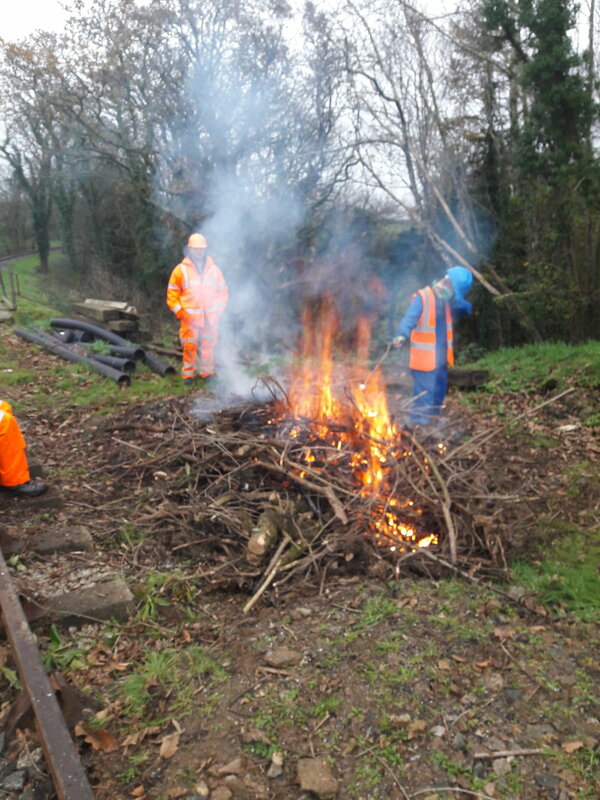 Thanks you everyone who was involved and helped out today, and welcome to Ian and Lewis who joined our group!